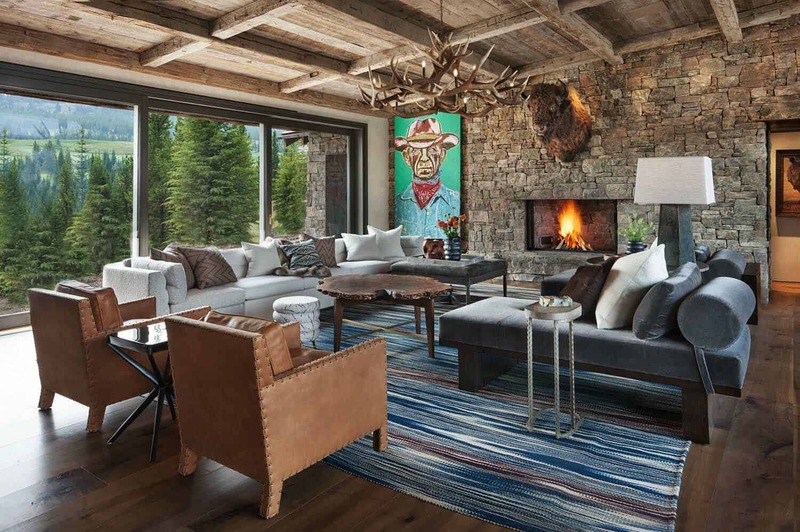 This mountain-rustic retreat was designed by Miller-Roodell Architects, nestled on 1.25-acres of property in Yellowstone Club, a private community in Big Sky, Montana. 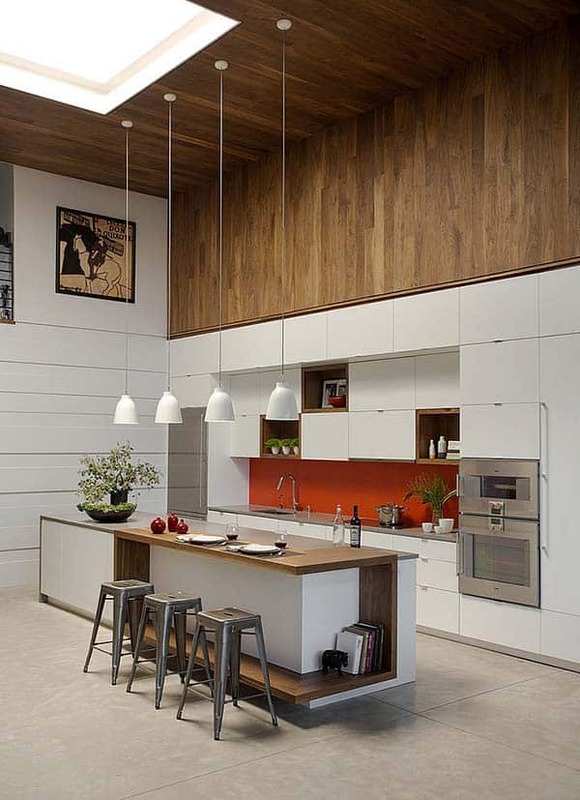 The project, entitled “Bunker House”, combines fresh air with fresh design. 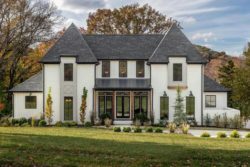 The homeowner, a couple with grown children, wanted to have a space where the whole family could gather for holidays and vacations. 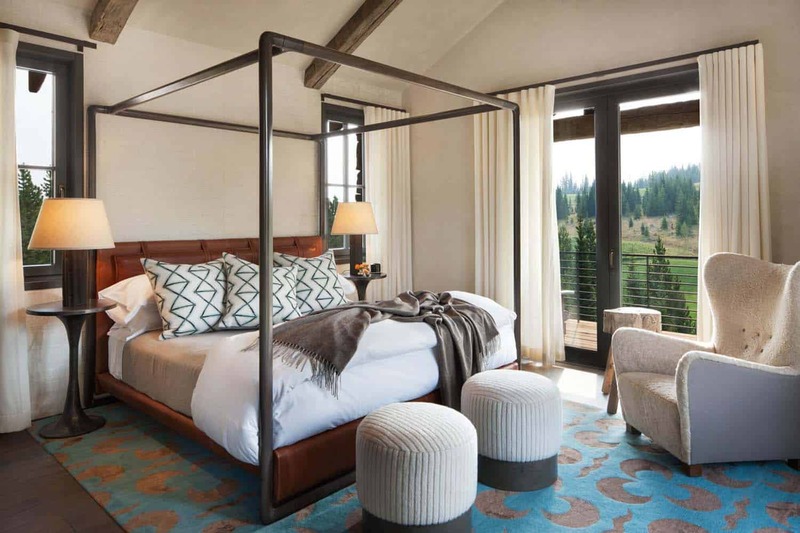 Dividing their time between Montana and Florida, they fulfill their favorite activities of skiing, golfing and entertaining. 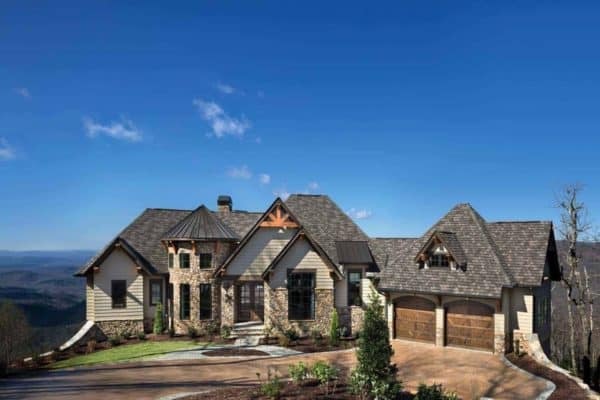 This 10,348 square foot dwelling is perched on ridge, backing up to a golf course on one side, while the other side offers magnificent mountain vistas. 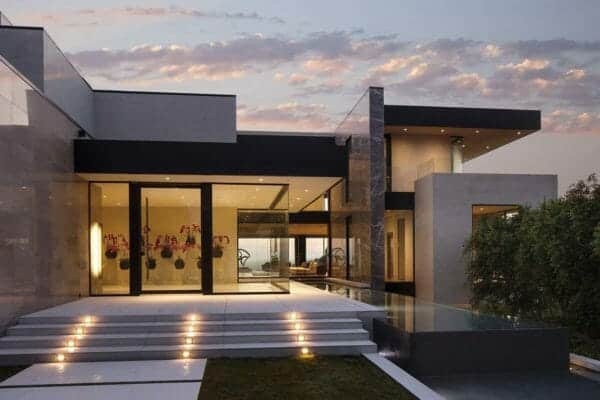 Built by On Site Management, the residence combines conventional design with a sense of humor. 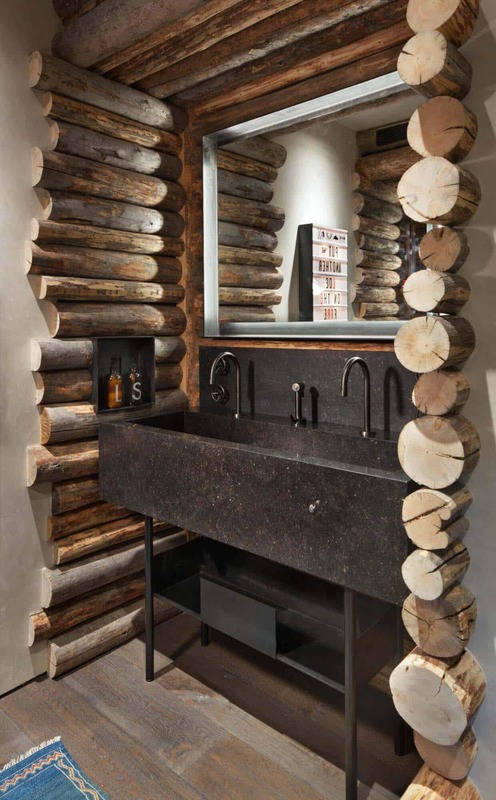 The collaborative result was a multi-generational mountain retreat contemporary in form, constructed of native rock and reclaimed wood. 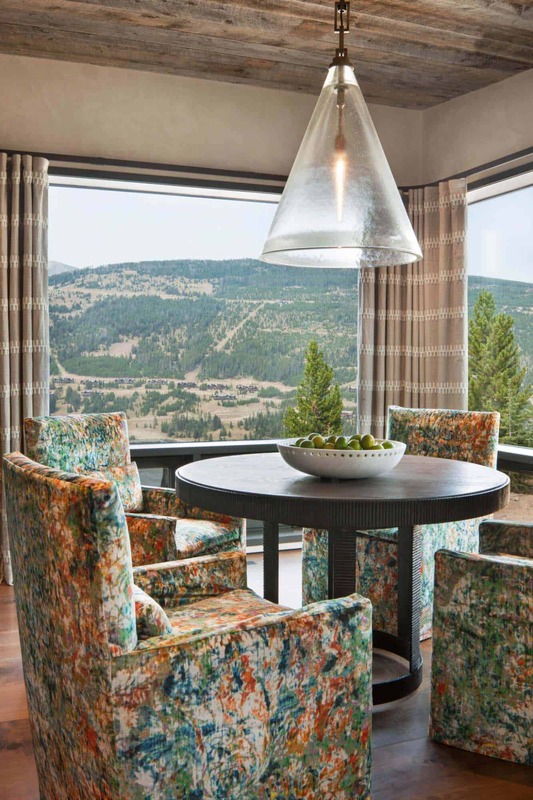 The project team designed a series of traditional structures connected by oversized glass to capture views of the Big Sky country. 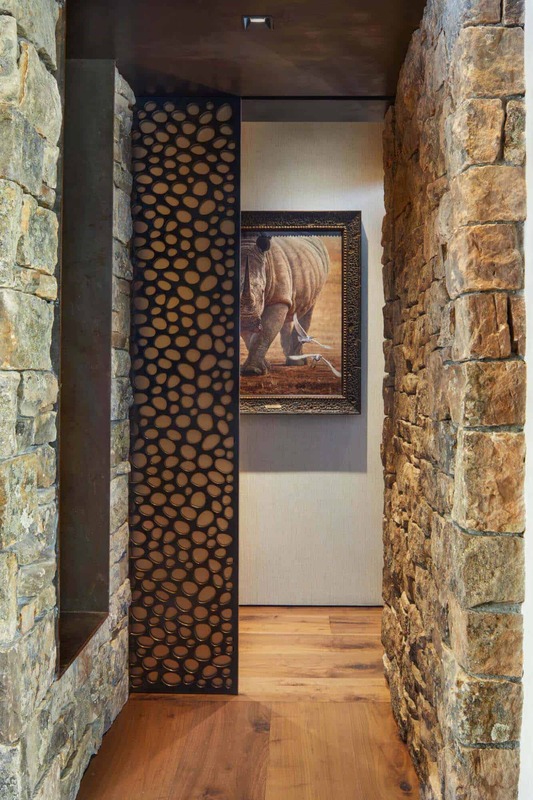 These circulation corridors became not only unique gathering areas but gallery spaces as well. 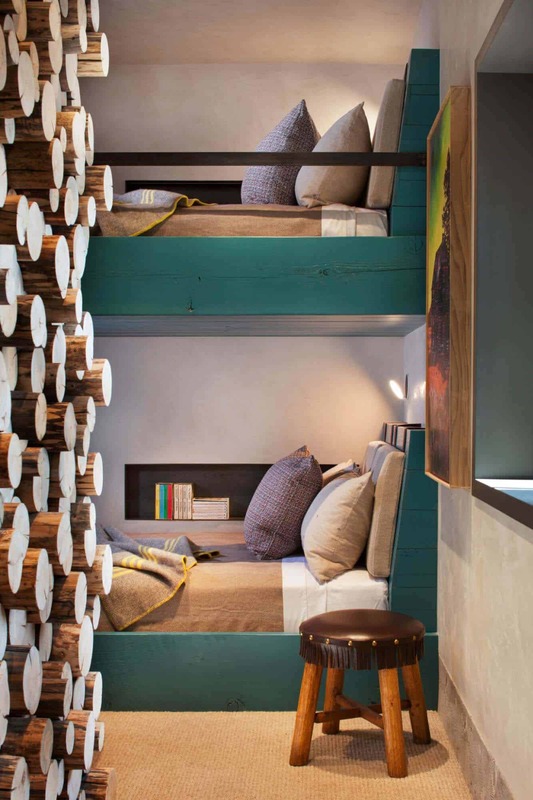 There are a variety of accommodation options within the residence, including a master bedroom suite, four junior suites and a playful bunkroom surrounding the gathering area. 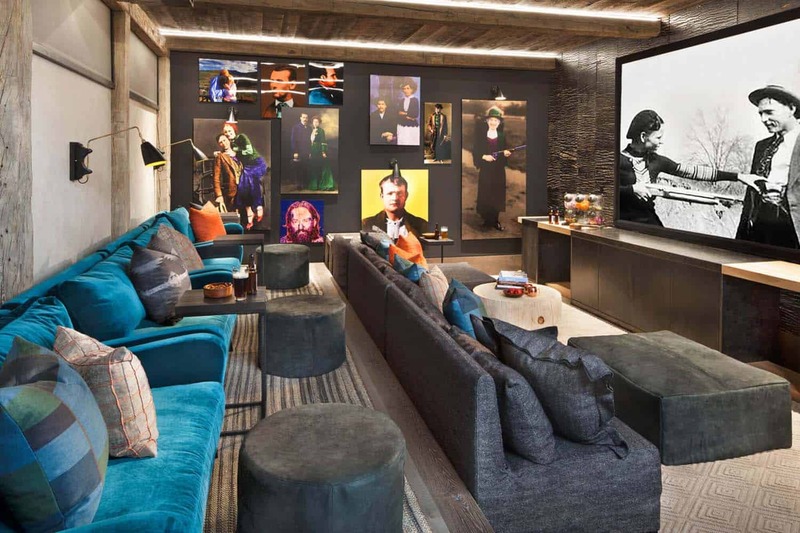 There is also a home theater on the lower level and plenty of outdoor patio space to enjoy the breathtaking mountain vistas. 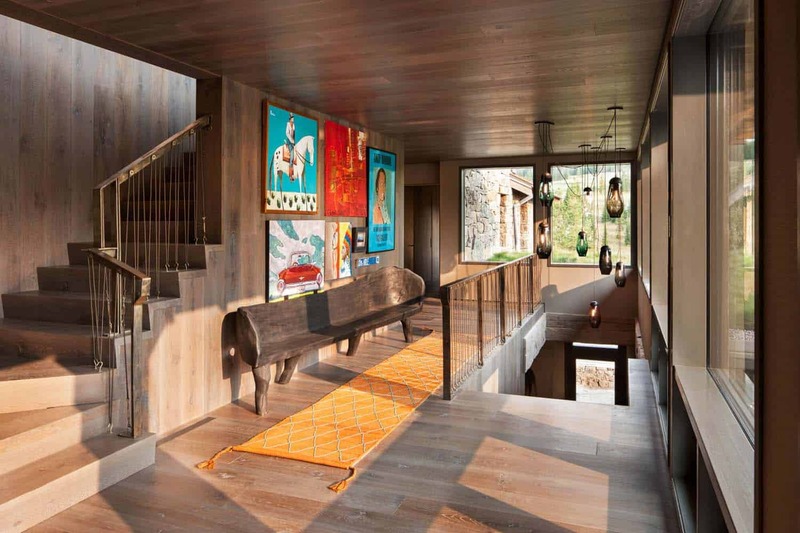 The main level encompasses an open-concept living, dining and entertaining area. The master bedroom suite is also on this level, while the guest bedrooms are tucked away for privacy. 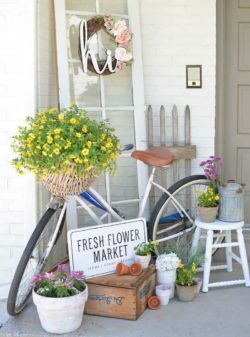 Interior designer Abby Hetherington worked with the homeowners to infuse a playfulness into every space. 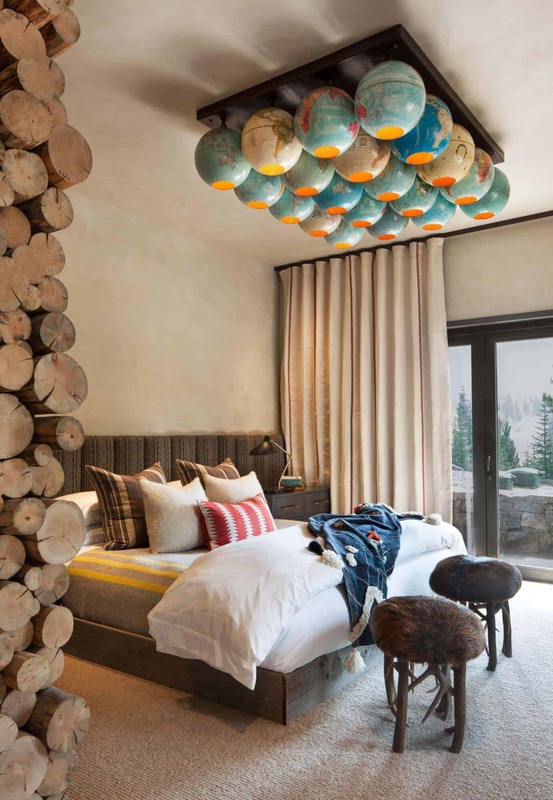 This includes a colorful and eclectic mix of art, playful light fixtures and a layering of luxurious textiles. 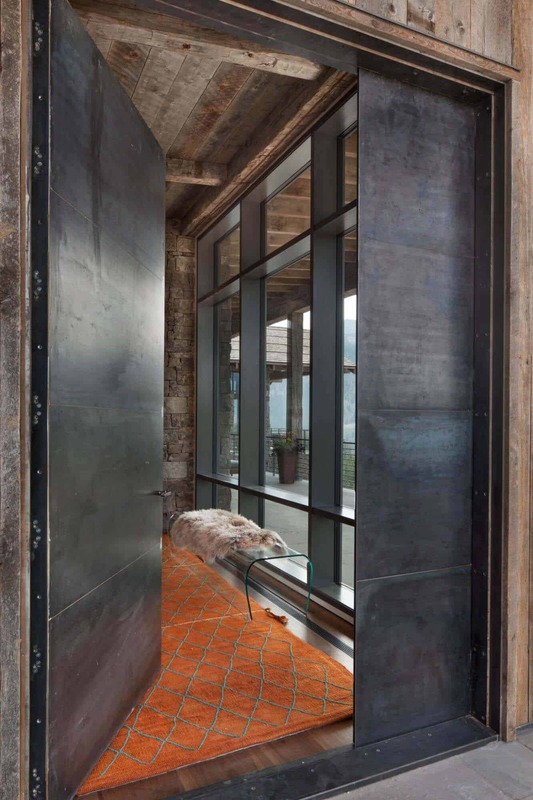 Earthy hues are intermingled with pops of color—oranges, pink and teal blues. 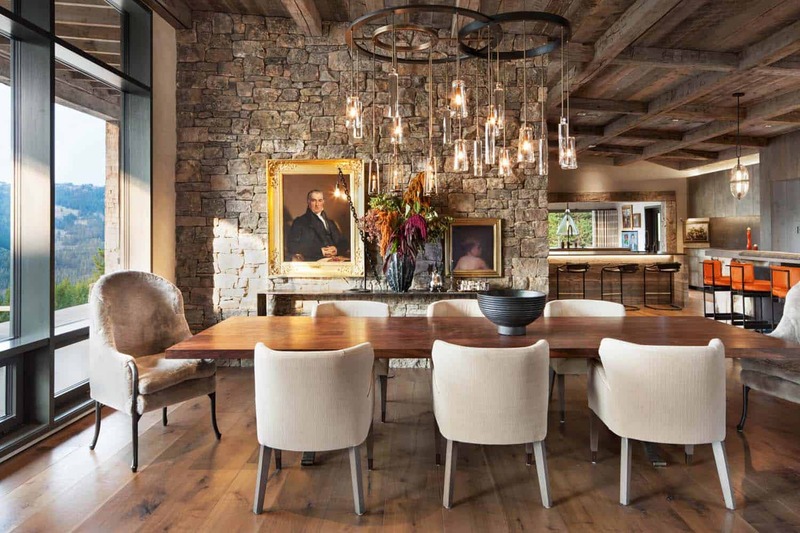 Above: In the dining room, the table was sourced from BDDW, while the chairs are MTC Studio. The exquisite chandelier Holly Hunt. 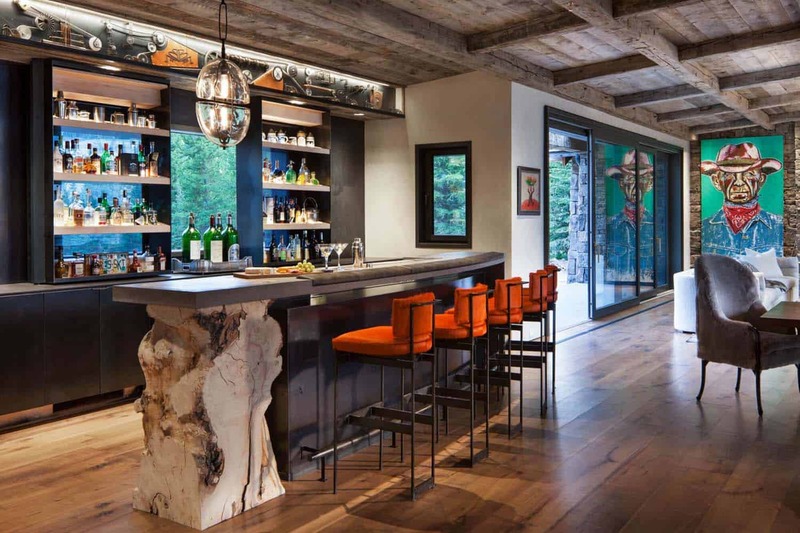 Above: The home bar is a work of art, custom created by MFGR Designs. 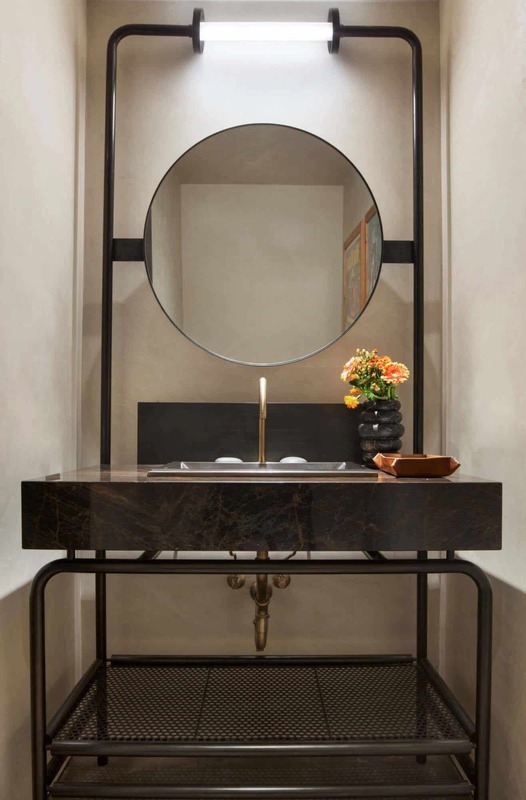 The orange counter stools adds a pop of color, sourced from MTC Studio. 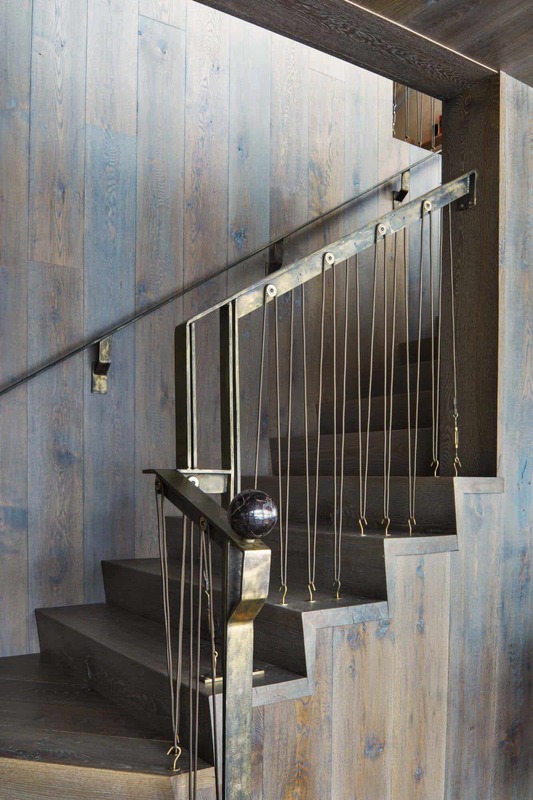 Illuminating the bar are pendant lights from Holly Hunt. 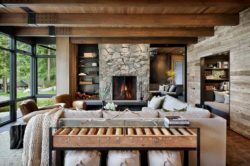 What We Love: This stunning mountain-rustic retreat offers a spacious layout to accommodate the owners and their extended family. 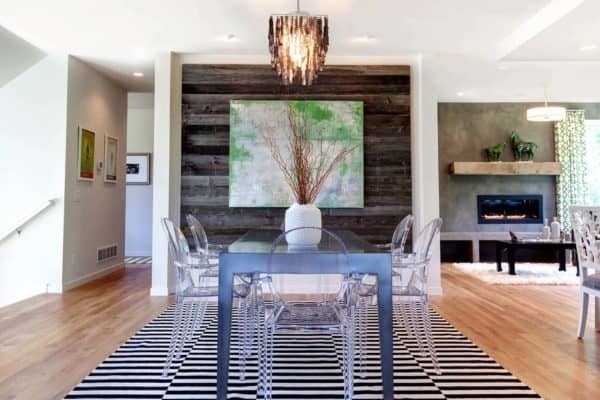 Living spaces flow effortlessly from one to the next, which is ideal for entertaining. 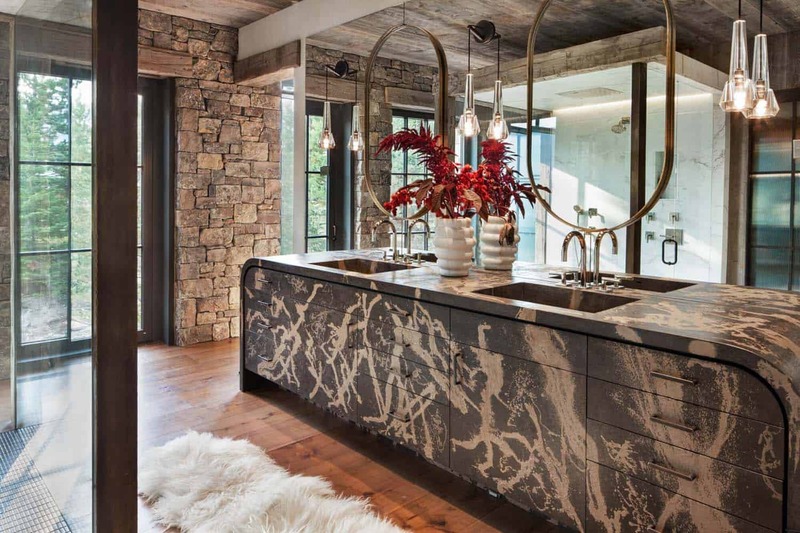 The interiors offer a beautiful mix of traditional log beams, barnwood and indigenous rock with more contemporary elements of steel and refined furnishings and details. 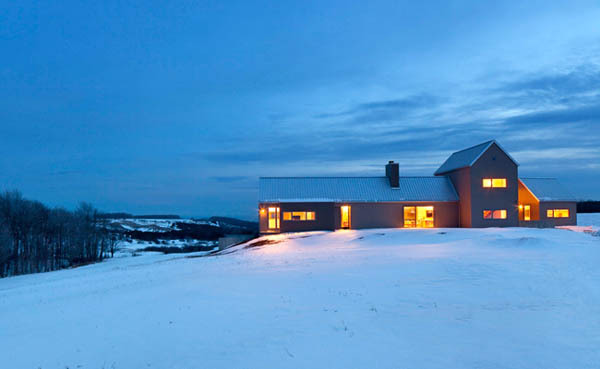 Overall, this is a gorgeous design that captures views that are equally impressive… Readers, what do you think, would this be your ideal dream home? Tell us in the Comments! 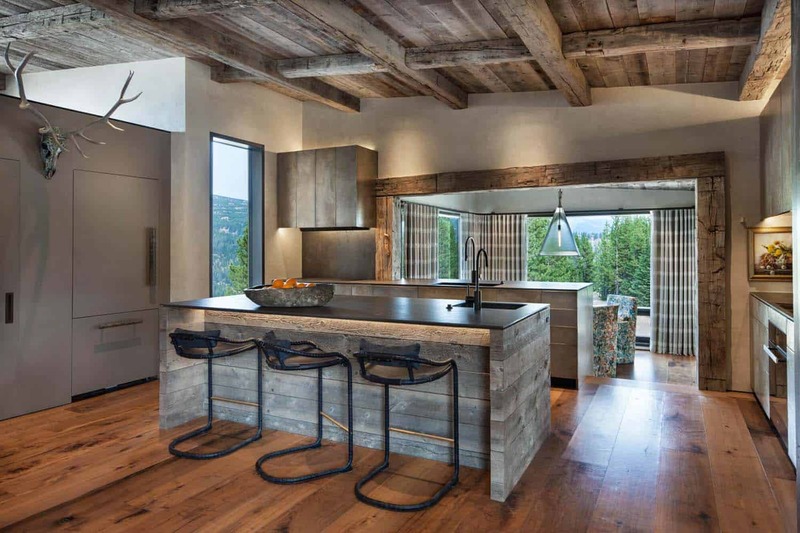 Note: Have a look at a couple of our most favorite home tours that we have featured on One Kindesign from the portfolio of Miller-Roodell Architects: Modern mountain home designed for an artist in the slopes of Aspen and Breathtaking rustic ranch house tucked into the Beartooth Mountains. 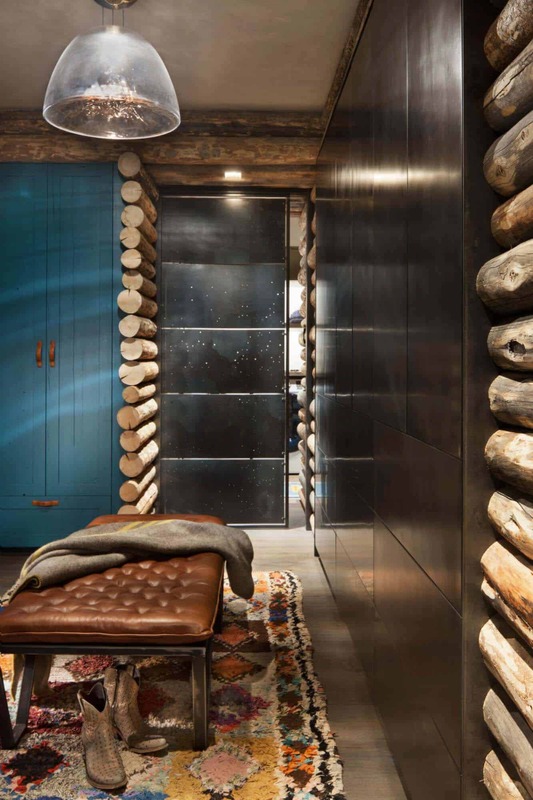 Above: Throughout the interiors, you will find indigenous Montana moss rock mixed with reclaimed wood, steel accents and clean lines. Above: The home library includes some playful touches, including a chandelier composed of discarded toys and gadgets — by Kirsten Kainz. A small blue door in the corner of the room leads to a toddler-sized playroom! Above: In the locker room, the colorful area rug was sourced from Amadi Carpets. 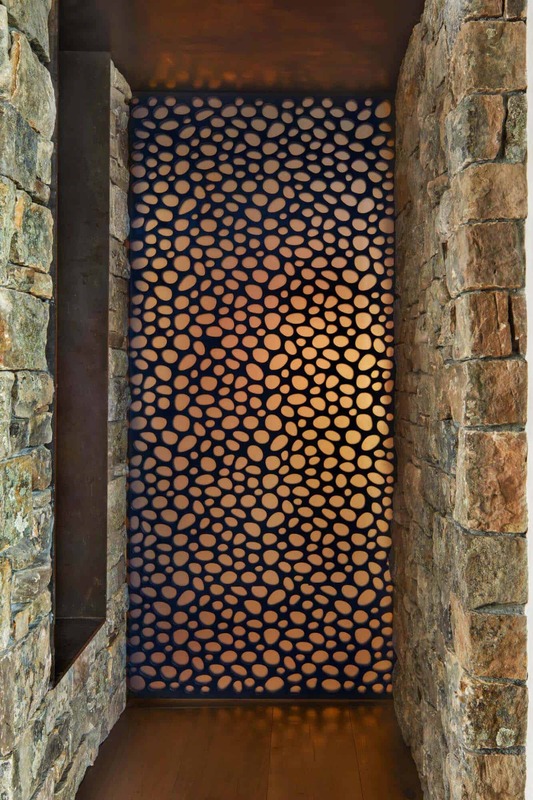 The metal doors are just one of the many custom steel accents throughout this home, manufactured by MFGR Designs. 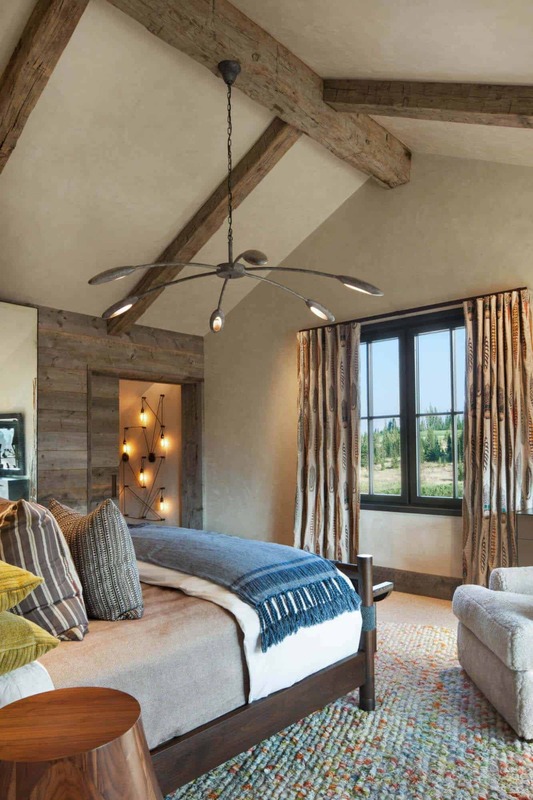 Above: The guest bedroom offers a fun touch — a light fixture made from old globes, designed by Montana Lighting Service. 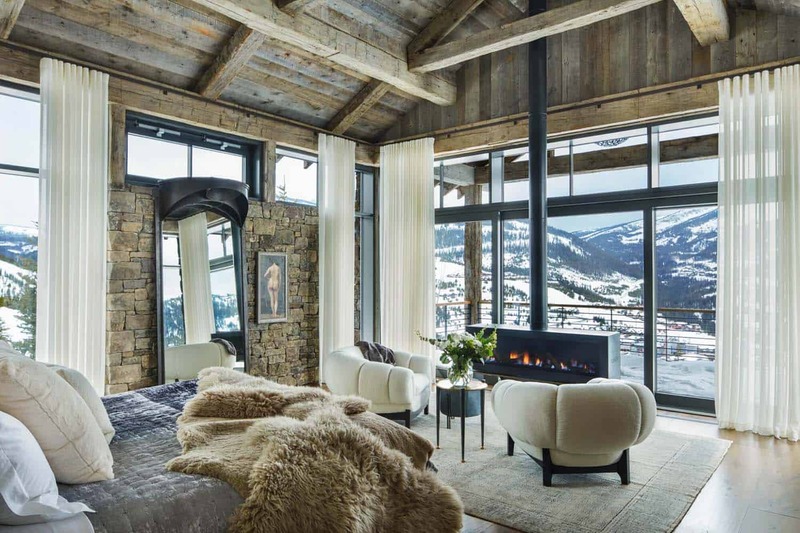 The beaver fur stools were sourced from the North Mountain Gallery.